Veho Muvi K-Series K-2 NPNG Action Camera. The MUVI™ K2 NPNG takes handsfree video capture to the next level. The enhanced MUVI™ K2 XA-7 Achilles chipset extends your options for filming with a top specification of 1080p @ 60 FPS using 19Mbits/sec. 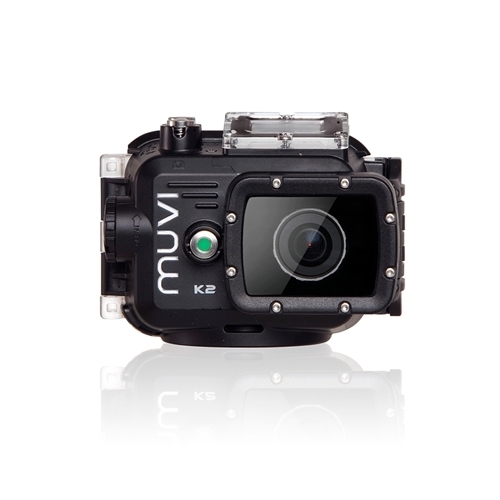 The MUVI™ K2 NPNG also comes ready for watersports including the new waterproof case capable of operating at depths of 100 metres (330 feet) and is bundled with the detachable LCD screen, 8GB memory, helmet front mount and is packed into a reusable protective carry case. The MUVI™ K2 records high definition 1080p video at 60 FPS as well as 720p at 120 FPS using the new MUVI™ XA-7 Achilles chipset and has a choice of bit rate, the default being 19 Mbit/s. As well as settings great for handsfree video capture the K2 also has settings to enable broadcast quality video capture for professional and pro-sumer use. The K2 captures stills at 8, 12 and 16 megapixel, and now comes equipped with photo burst mode that allows you to take up to 10 photos per second, which is perfect for trying to achieve the perfect action shot. 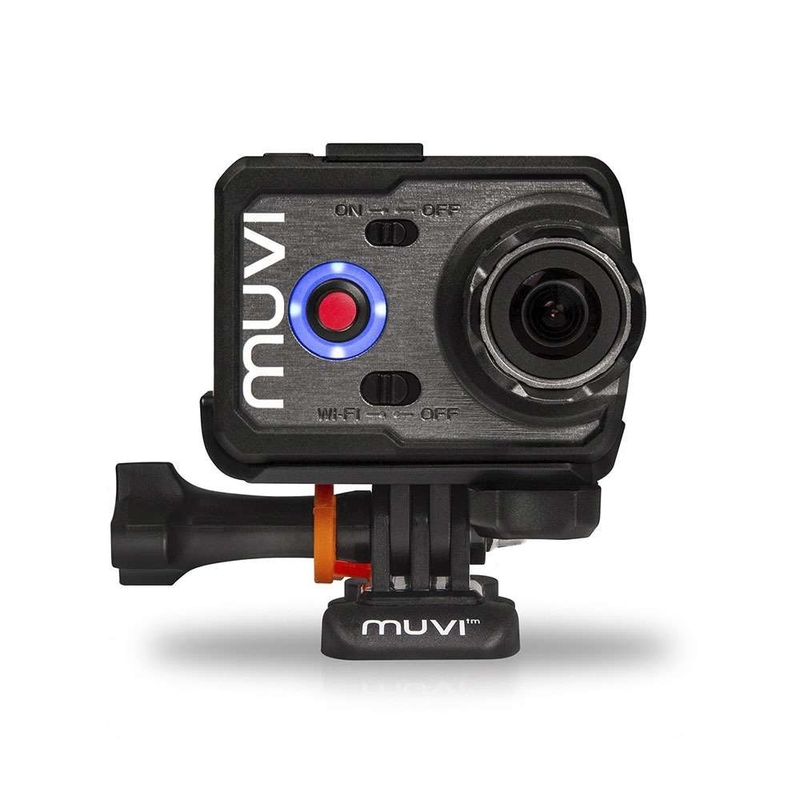 Additional new features include 180 degree rollover which means if you are mounting your K-Series upside down the footage plays back the correct way up and G-sensor auto-start which allows you to set your MUVI™ to start recording on a change of gravity. You can also now capture interval stills during video capture at a set of pre-defined periods so you can save the best still images handsfree while capturing footage. Printed Quick Start Guide (English, French, Spanish, German, Italian, Portuguese, Russian and Japanese).